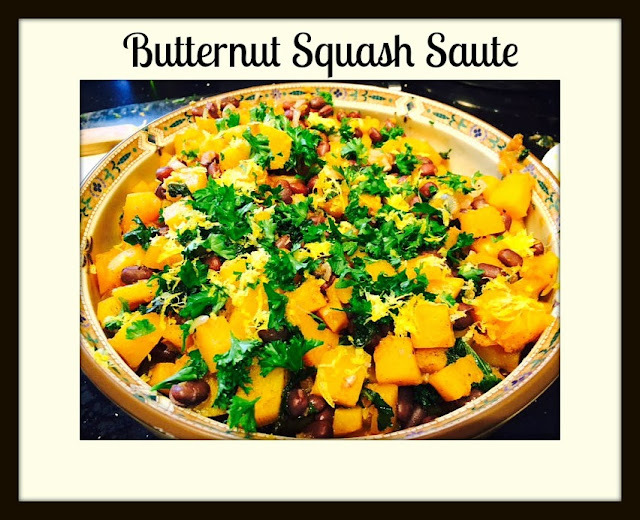 Butternut squash's warm, rich texture paired with the firm, nutty adzuki bean makes this a hearty and delicious treat for the fall! I love to eat this dish with Coconut Rice. 1. Heat the oil in a large skillet and saute the shallots until soft and fragrant-about 3 minutes. 2. Add the cinnamon and stir among the shallots until coated. 3. Add the cubed butternut squash and mix well with shallots and cinnamon. 4. Add the water, cover, and cook until the squash is tender-about 15-20 minutes. 5. Gently stir in the kale and parsley and cook until soft-ish and the colors are vibrant. 6. Stir in the adzuki bean and cook until hot.